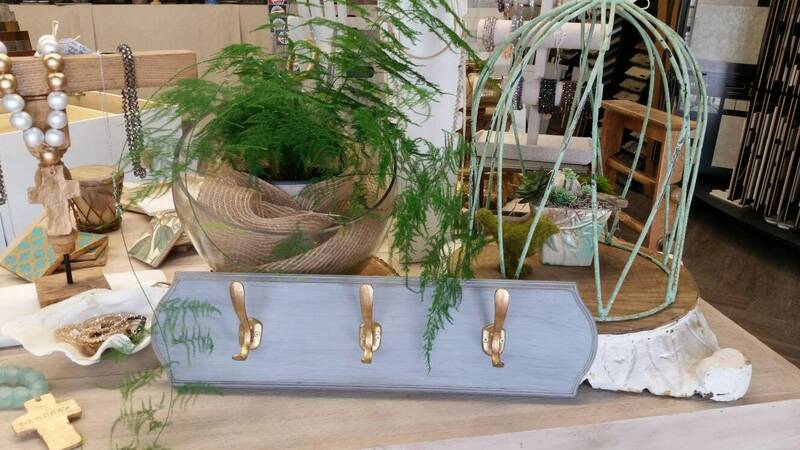 Jewelry / Coat / Towel Rack Reclaimed Wood, Size 6 x 24 Painted Franciscan Grey and Distressed with Three Antique Gold Iron Hooks. 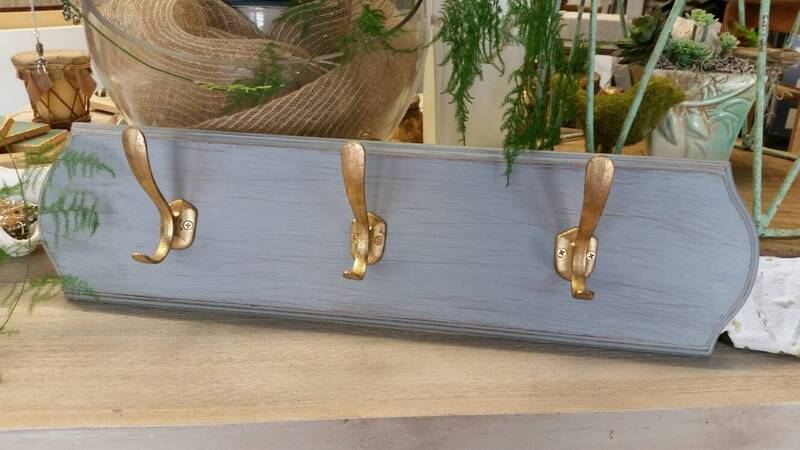 Jewelry / Coat / Towel Rack Reclaimed Wood, Size 6" x 24" Painted Franciscan Grey and Distressed with Three Antique Gold Iron Hooks. 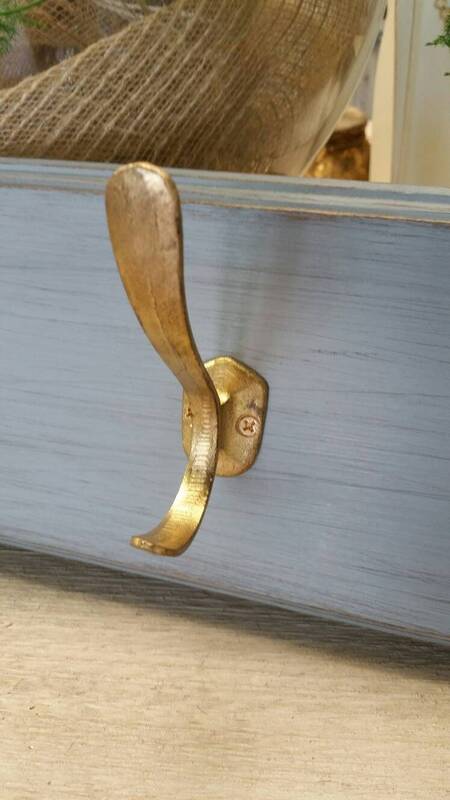 Jewelry / Coat / Mud Room /Towel Rack will look great in any room. Measuring overall 6" ht. 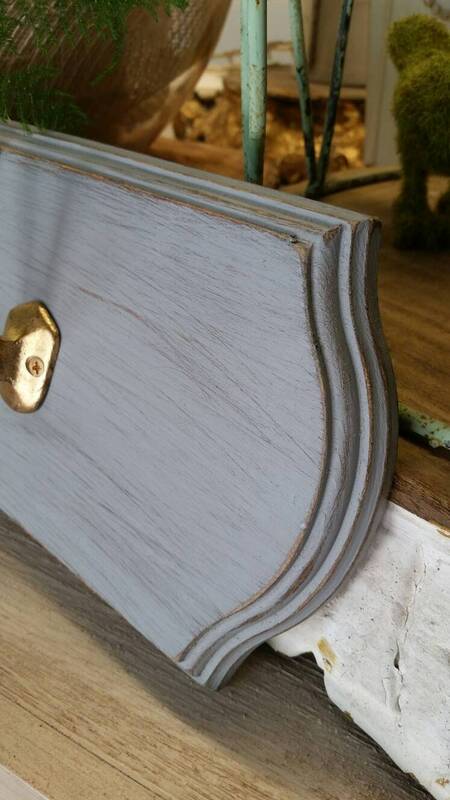 x 24" w. x 4 d.
Color - Franciscan Grey paint with a waxed finish. 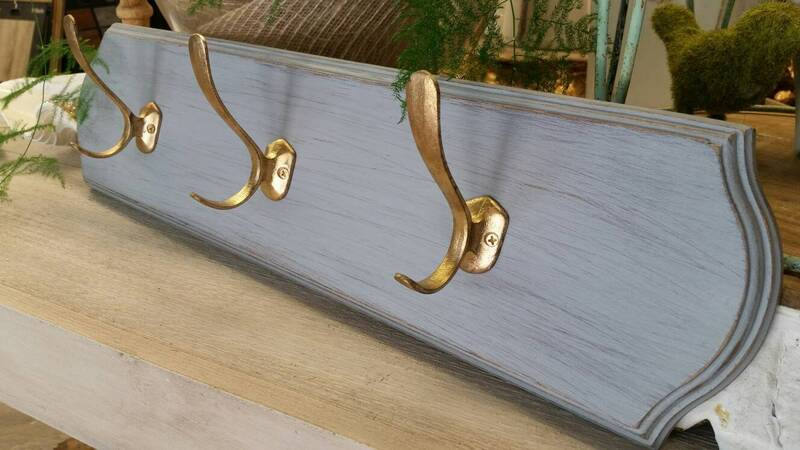 And has three double antique gold iron hooks. This rack would also be the perfect addition to any Laundry or Mud Room. The hanging rack is handmade so each rack has it's own unique character.